The workshop is in a month to the day! 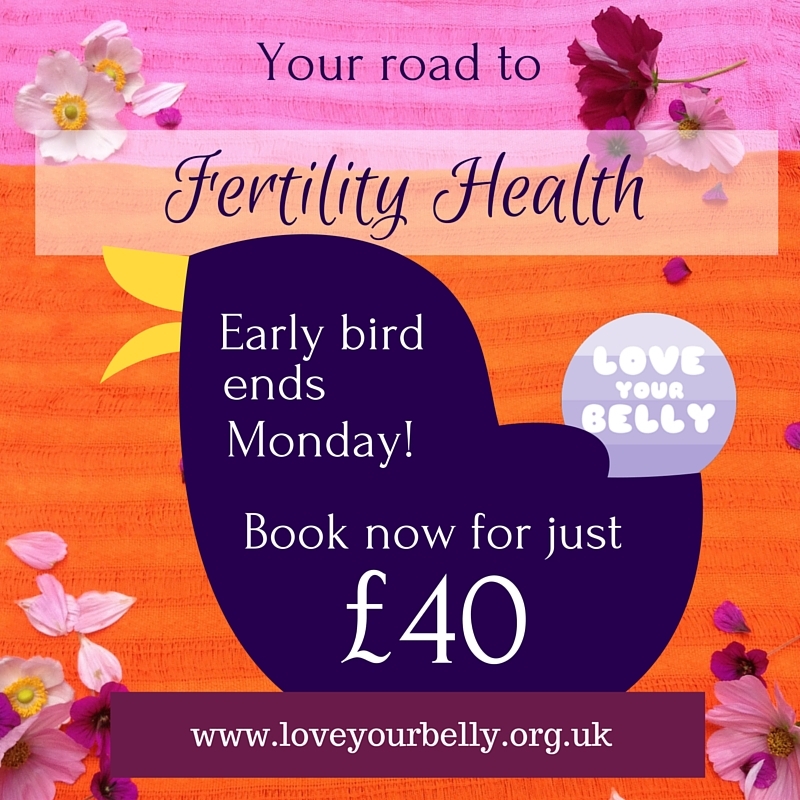 The early bird price for ‘Your Road to Fertility Health’ will be ending on Sunday night. If you are interested in learning the self-care massage for fertility, then book your ticket this weekend! No Replies to "Learn self-care massage for fertility at a discount"